Les Trois Vallées (Courchevel, Méribel, La Tania, Brides-les-Bains, Saint-Martin-de-Belleville, Les Menuires, Val Thorens and Orelle): 338 slopes, 600 km of pistes. Portes du Soleil (Avoriaz, Châtel, Morzine, Les Gets, Saint-Jean d`Aulps, La Chapelle d`Abondance, Abondance, Montriond, Swiss resorts): 288 slopes, 650 km of slopes not entirely connected. Paradiski (La Plagne, Peisey-Vallandry, Les Arcs), Champagny-en-Vanoise: 239 slopes, 420 km of slopes. Via Lattea (Montgenèvre, Italian resorts): 214 slopes, 400 km of slopes. Évasion Mont-Blanc (Combloux, Megève, Saint-Gervais, Saint-Nicolas-de-Véroce, Les Contamines Monjoie): 183 slopes, 420 km of slopes not entirely connected. Espace Killy (Tignes, Val-d`Isère): 137 slopes, 300 km of slopes. Grand Massif (Flaine, Les Carroz, Morillon, Samoëns, Sixt): 134 slopes, 265 km of slopes. Les Aravis (La Clusaz, Manigod, La Croix Fry, Merdassier, Le Grand-Bornand): 133 slopes, 220 km of slopes not entirely connected. Les Grandes Rousses (L`Alpe d`Huez, Vaujany, Auris-en-Oisans, Oz-en-Oisans, Villard-Reculas): 117 slopes, 236 km of slopes. Serre Chevalier: 111 slopes, 250 km of slopes. La Forêt Blanche (Risoul, Vars): 104 slopes, 180 km of slopes. Les Sybelles (Le Corbier, La Toussuire, Les Bottières, Saint-Jean-d`Arves, Saint-Sorlin-d`Arves, Saint-Colomban-des-Villards): 96 slopes, 310 km of slopes. Valloire and Valmeinier: 83 slopes, 150 km of slopes. Espace San Bernardo (La Rosière, La Thuile - Italy): 73 slopes, 150 km of slopes. Les Deux Alpes and La Grave: 69 slopes, 220 km of slopes. Le Val d`Arly (Praz-sur-Arly, Notre-Dame-de-Bellecombe, Flumet): 150 km of slopes. 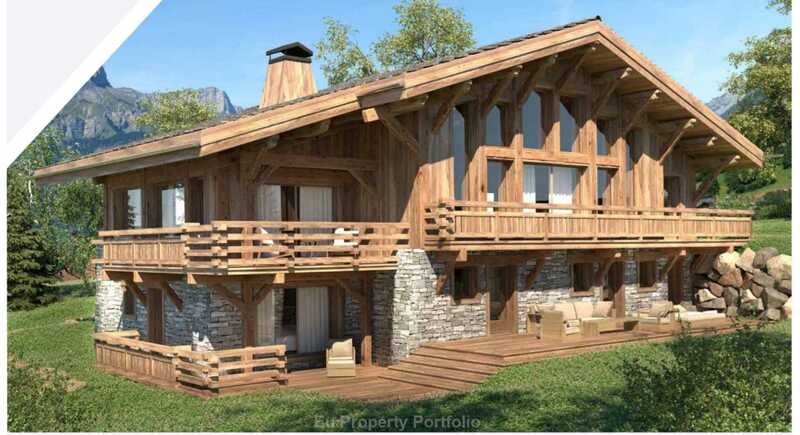 This chalet islocated in an amazing location, on the heights of the Mont d`Arbois, near the golf course. The Mont d`Arbois is one of the most prestigious locations of Megeve. This is ideal if you like peace and privacy.